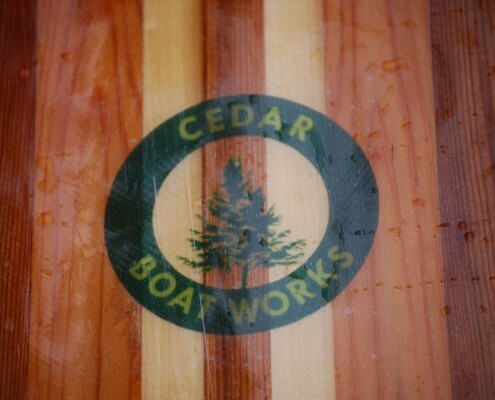 Description: Cedar Boat Works is proud to offer a line of Stand Up Paddle Boards designed exclusively for us by Greg Bridges. 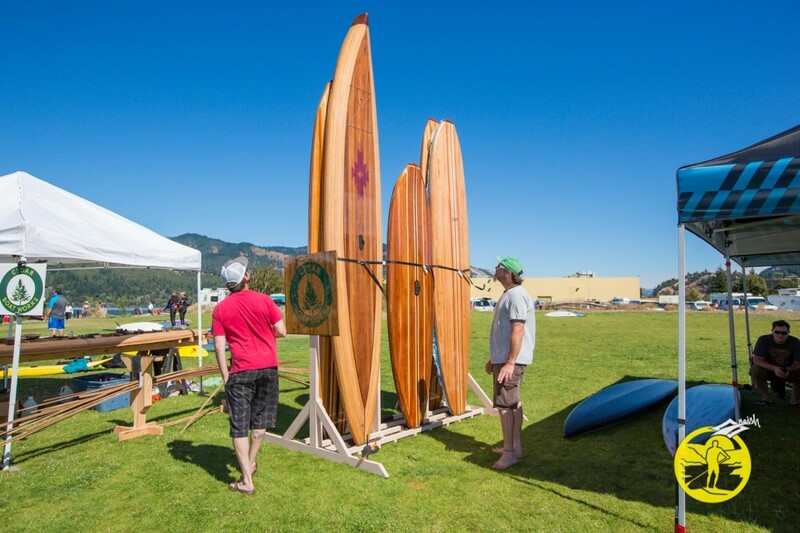 The Willamette Pearl of designed for a smaller paddler, but offers the tracking and stability of a longer board. 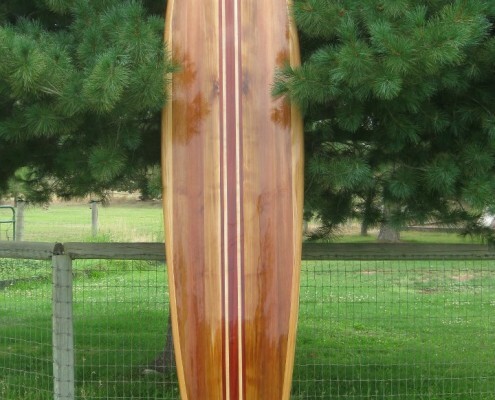 Building a beautiful light-weight wooden Stand Up Paddle Board is an intricate effort. 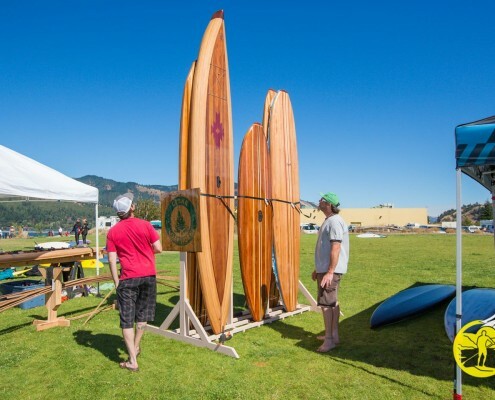 We offer a kit that not only supplies the plans, instructions and all the material to successfully build a board, but also provide tips based on our years of experience in wood strip building. Unlike other kit suppliers, we construct each strongback, align & number every part. 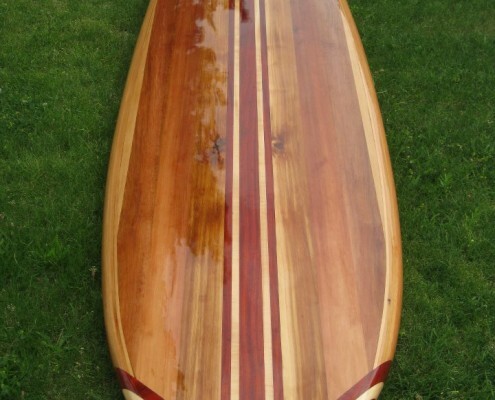 You will receive all the necessary parts needed to put your board in the water – including everything from masking tape for the forms, to varnish and brushes. Compare our list of supplies and parts with other kit makers and you will quickly see they value we offer. You also will have me as an adviser to answer all questions you may have when building your dreamboat. I will not leave you hanging when you most need the help, just email me, take a photo of where you need the help or send me you phone number and I will call you and talk you though your problem. 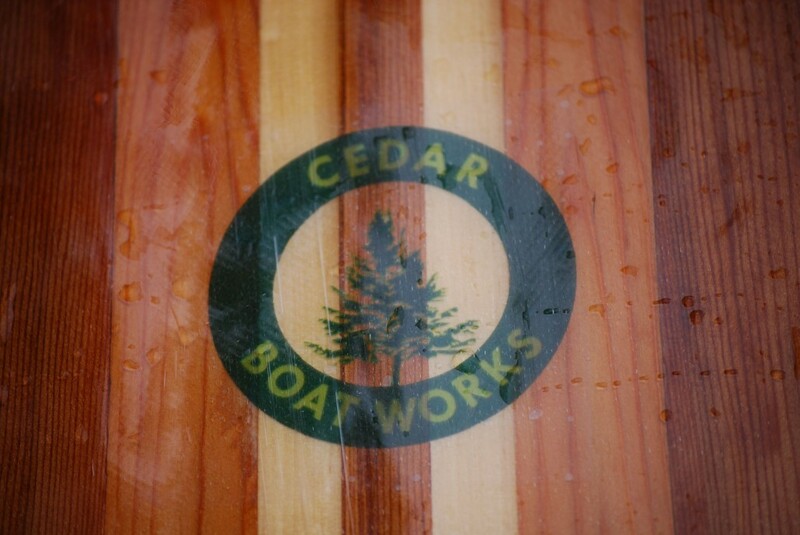 All kits come with the best Western Red Cedar I can fine – all knot free and VG for the strips. 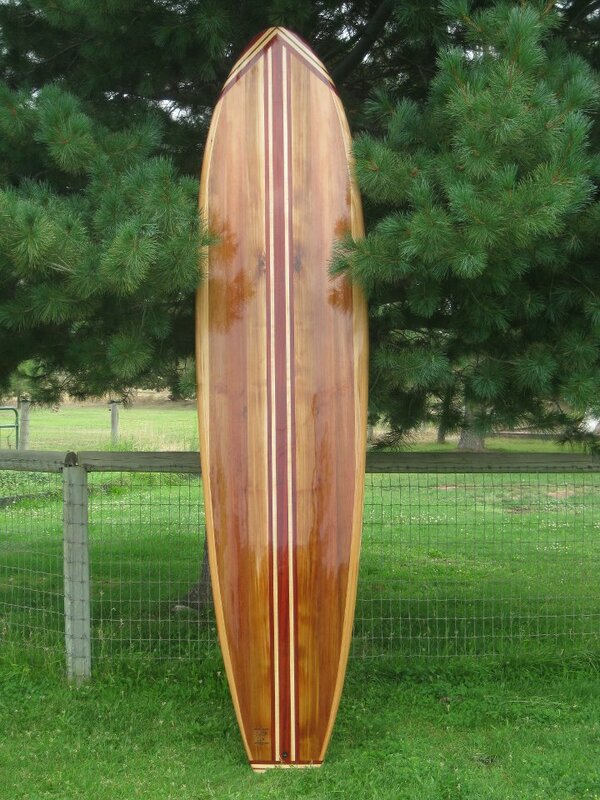 Extra cost for other types of woods such as Peruvian Black Walnut, African Strip Mahogany, Birch or even Birds Eye Maple. 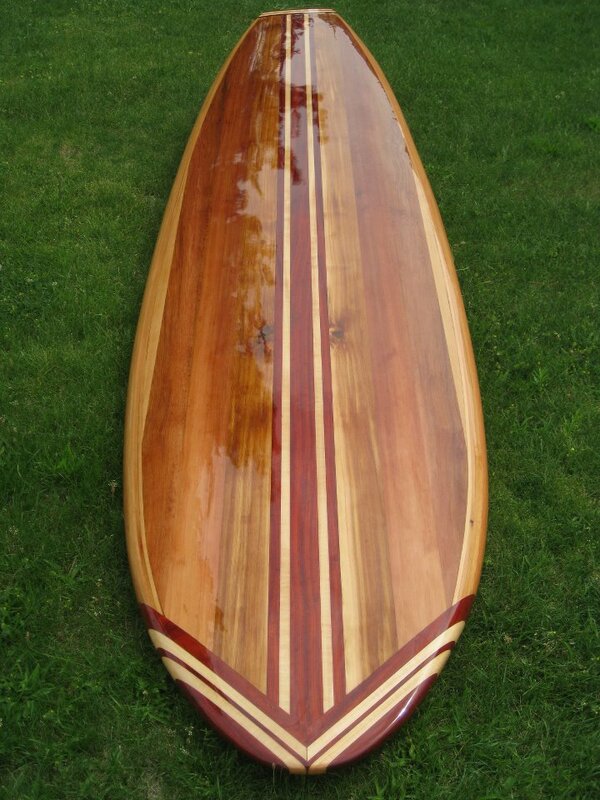 When ordering a full kit, if you decide too laminate different woods types together, I will ask you for you home phone and I will call you and we will discuss the pro and cons of each boat and what color of boat you want, if a accent strip is desired, then we talk about style and what colors/types of wood for the strip.